Rule of no reservation in promotions as laid down in Indra Sawhney Case has clearly and normatively no application to the ‘Persons with disabilities, said the Bench. In a Landmark Judgment, Supreme Court of India has directed the Government to extend the reservation for ‘persons with disability’ in all identified posts including Group A and Group B, irrespective of the mode of filling up of such posts. 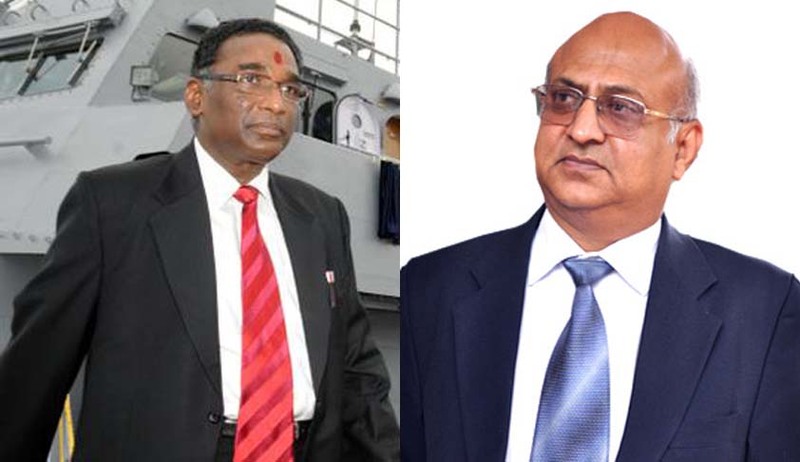 A Two Judge Bench comprising of Justices J.Chelameswar and Abhay Manohar Sapre in Rajeev Kumar Gupta & Others Vs Union of India & Others quashed the two office memoranda No.36035/16/91-Estt. (SCT) dated 18.02.1997 and No.36035/3/2004-Estt. (RES) dated 29.12.2005 issued by the Department of Personnel and Training, Government of India, terming them as illegal and inconsistent with the Persons with Disabilities (Equal Opportunities, Protection of Rights and Full Participation) Act, 1995. The Petitioners who are employed with Prasar Bharati Corporation of India have approached the Court to quash the above memoranda contending that it deprive them of the statutory benefit of reservation under the 1995 Act w.r.t. Group A and Group B posts in Prasar Bharati. Posts in Prasar Bharati are classified into four groups – A to D. Each group consists of a number of classes of posts and in each class there are a number of posts. Certain posts were identified by the Government of India vide notification No. 16-70/2004-DD.III dated 18.01.2007 as posts suitable for being filled up with ‘’Persons with disability’ in identified posts; an exercise in compliance with the mandate under Section 32 of the 1995 Act. After such identification, the ‘appropriate Government’ is mandated under Section 33 to reserve not less than three per cent of identified posts in favour of Persons with disabilities. Under the regulations framed under the 1990 Act, various posts (falling in groups A to D) in Prasar Bharati are to be filled up by three different modes i.e. direct recruitment, promotion and some posts partly by direct recruitment and partly by promotion. Under the regulations framed under the Prasar Bharati (Broadcasting Corporation of India) Act, 1990, various posts (falling in groups A to D) in Prasar Bharati are to be filled up by three different modes i.e. direct recruitment, promotion and some posts partly by direct recruitment and partly by promotion. Memorandum II provides for reservation in favour of ‘Persons with disability’ to the extent of three per cent in all the identified posts in Prasar Bharati, when these are filled up by direct recruitment. However, it provides for three per cent reservation in identified posts falling in Groups ‘C’ and ‘D’ irrespective of the mode of recruitment i.e. whether by direct recruitment or by promotion. As a consequence, the statutory benefit of three per cent reservation in favour of ‘Persons with disability’ is denied insofar as identified posts in Groups ‘A’ and ‘B’ are concerned, since these posts, under relevant regulations of Prasar Bharati are to be filled up exclusively through direct recruitment. The issue before the Supreme Court was to test the legality of denial by the impugned memoranda of the statutory benefit of three per cent reservation in identifiable posts falling in Groups A and B. The petitioners contended that it violates the State’s obligation under Sections 32 and 33 of the Persons with Disabilities (Equal Opportunities, Protection of Rights and Full Participation) Act, 1995 and subverts of the object of the said Act enacted by Parliament inter alia to secure opportunities for full participation of persons with disability in matters of employment. (i) That the mandate of Section 33 of the 1995 Act applies only when the identified posts are sought to be filled up by direct recruitment. Impugned memorandum-II only contains a policy decision of the Government of India by which reservation is granted to Group C and Group D posts even when they are sought to be filled up by the mode of promotion. Since the policy decision restricted the reservation in promotion to identified Group C and Group D posts, the petitioners have no right to demand reservation in promotion to identified Group A and Group B posts. (ii) That Indra Sawhney case clearly ruled that reservations be confined to recruitment at the initial level of recruitment into government service and not at the stage of promotions. Providing for reservation in higher level posts is constitutionally impermissible. The respondents, therefore, argued that in light of the law laid down in Indra Sawhney, it is constitutionally impermissible that petitioners to be given three per cent reservation in promotions for identified Group A and Group B posts. “Whether any post under the State is to be reserved for being filled up exclusively by some persons belonging to any “constitutionally deserving” class of persons or otherwise is a matter of policy choice of the State. Such a policy is either laid down by a statute or executive orders. Various factors are to be taken into consideration for framing any policy such as the nature of responsibilities which a particular post carries, the number of posts available in that class and the representation already existing in that class of posts for persons of the class to which reservation is sought to be provided and myriad other things. But such factors ought to be germane to purposes sought to be achieved by the policy apart from being relevant in the context of the scheme of Articles 14 and 16 of the Constitution. The same principles of law apply even to the question, as to the mode of filling up of any post or class of posts”. “The Indra Sawhney ruling arose in the context of reservations in favour of backward classes of citizens falling within the sweep of Article 16(4). The principle laid down in Indra Sawhney is applicable only when the State seeks to give preferential treatment in the matter of employment under State to certain classes of citizens identified to be a backward class. Article 16(4) does not disable the State from providing differential treatment (reservations) to other classes of citizens under Article 16(1) if they otherwise deserve such treatment. However, for creating such preferential treatment under law, consistent with the mandate of Article 16(1), the State cannot choose any one of the factors such as caste, religion etc. mentioned in Article 16(1) as the basis. The basis for providing reservation for Persons with disabilities is physical disability and not any of the criteria forbidden under Article 16(1). Therefore, the rule of no reservation in promotions as laid down in Indra Sawhney has clearly and normatively no application to the ‘Persons with disabilities’. Finally the Court has declared the impugned memoranda as illegal and inconsistent with the 1995 Act. Court has direct the Government to extend three percent reservation to Persons with disabilities in all identified posts in Group A and Group B, irrespective of the mode of filling up of such posts.